When quality matters, Artefact is the partner of choice for many top Pharma, FMCG, SME and Corporate/Semi-state clients who realise the significant benefits and tangible results our highly effective graphic design, SEO, branding, website services and advertising ideation, can make to their product brands or corporate image success in the marketplace, on and offline. Established in 1999 by Wil Lyons, Artefact Ltd is a strategically led, Design & Brand Consultancy, (with specialist expertise in PHARMA & FOOD branding & Packaging Design). We have crafted, launched and repositioned many brands (including start-ups) and count many leading Irish and international brands in our portfolio. 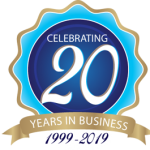 We continually demonstrate that our 25 years of experience, outstanding creative expertise and exceptional customer relationship commitment, delivers superior results and greater Return on Investment than our competitors. Looking for a Creative Partner for your next project?… Let’s Talk Now!